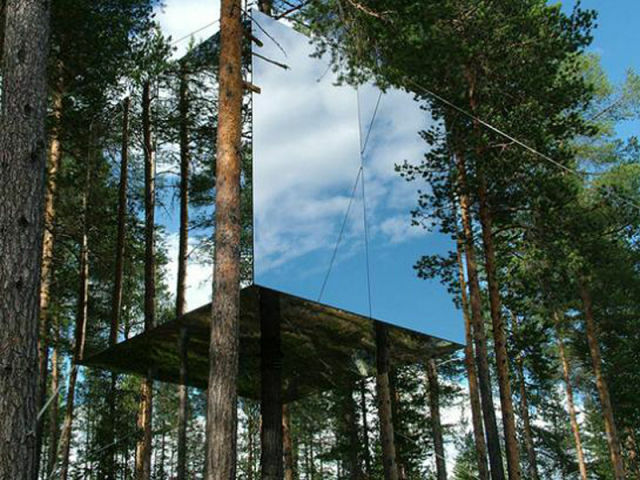 This is a tree hotel that is located in Sweden. 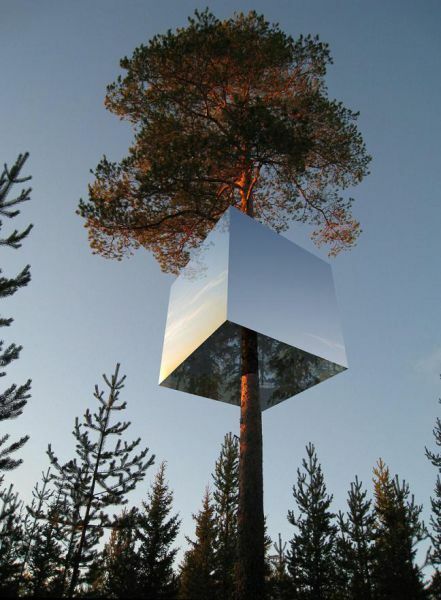 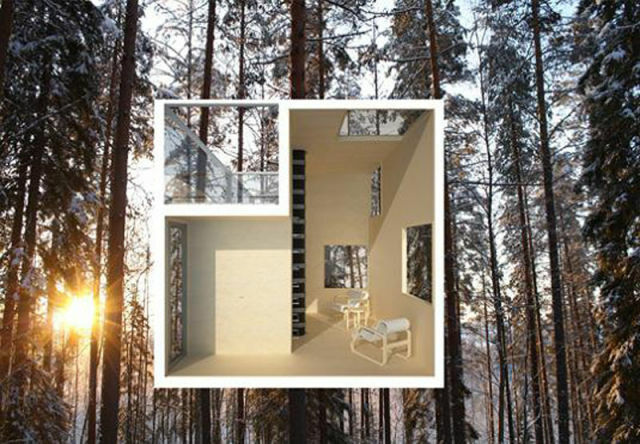 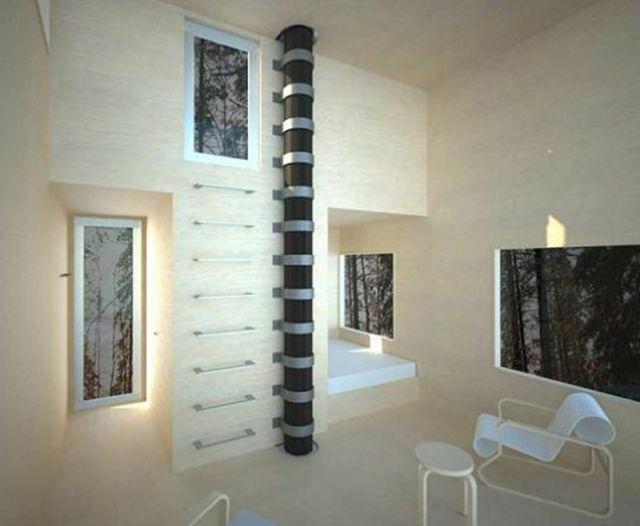 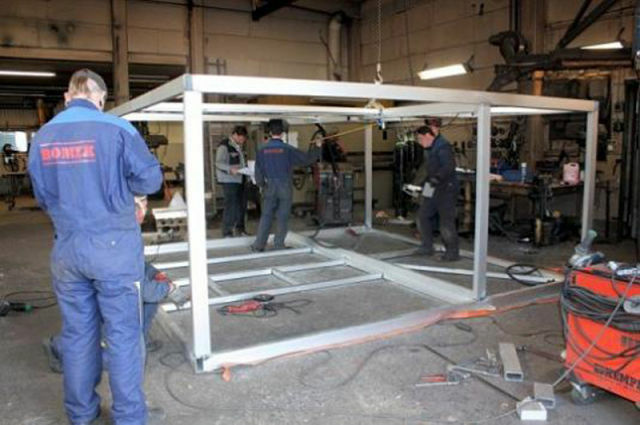 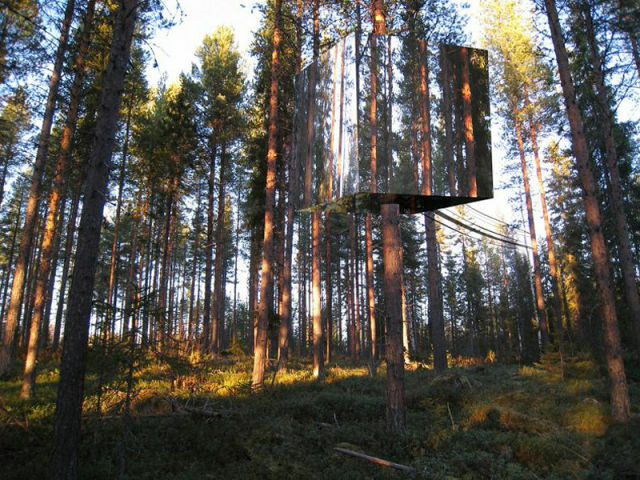 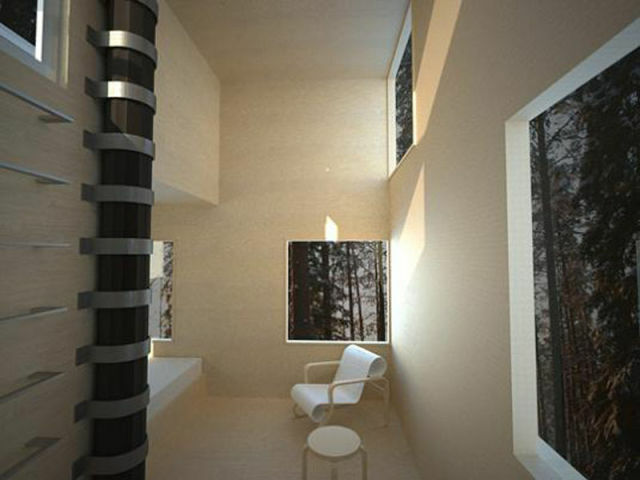 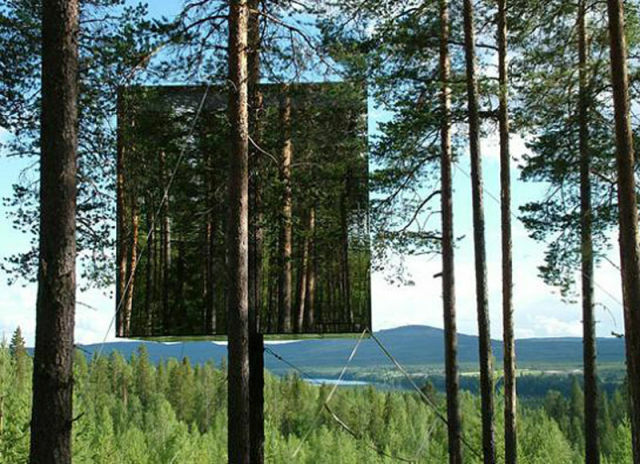 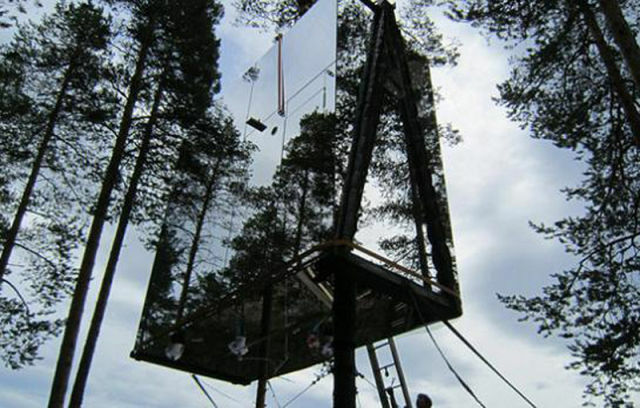 The Mirrorcube is accessed by a rope bridge; accommodates two people and has a roof terrace; a living room, a bath, a small kitchenette, and a large bed; the interior has a 360 degree vies and is made from plywood; its exterior represents a camouflaged refuge; the mirror box is 4m X 4m X4m; it is built around a tree trunk, and; it’s made from light weight aluminum. 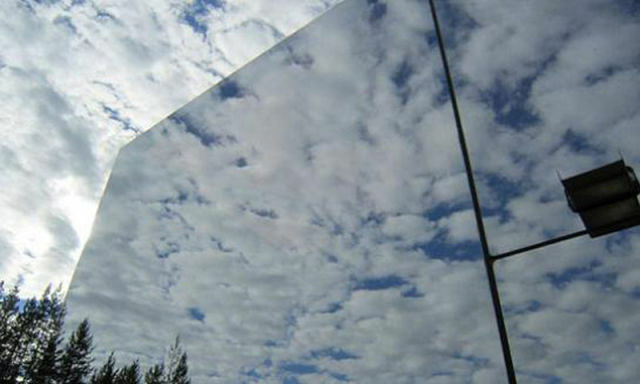 Its so stupid ... How many birds will die on these mirrors, thinking that they are clouds?